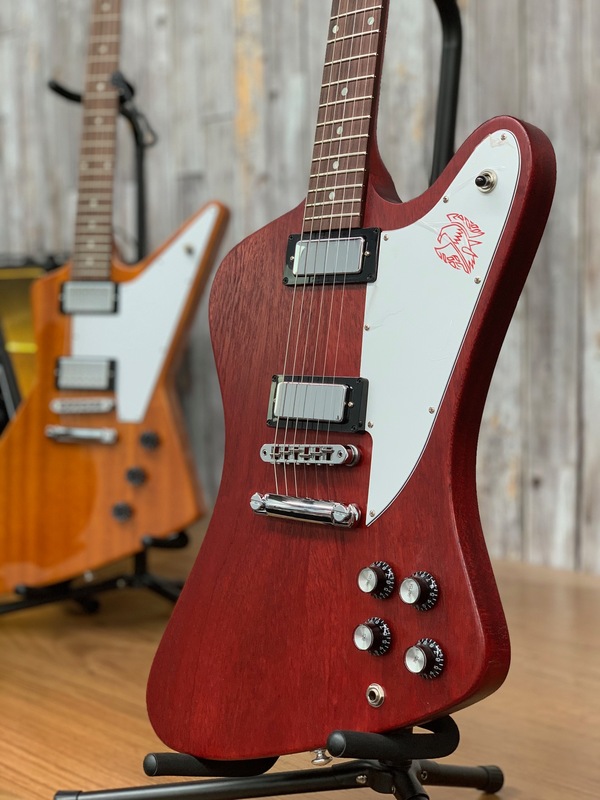 Part of the New 2019 Gibson Guitar Range, is the Gibson Firebird Tribute Satin Cherry 2019 model. Which is part of the Tribute Series. Retaining the original 'Reverse' body and headstock the 2019 Gibson Firebird Tribute radiates vintage styling. Mahogany, slim taper set-neck with an unbound rosewood fingerboard is coupled with a mahogany body which guarantees classic Gibson sustain while the Firebird mini-humbuckers provide the tone. Chrome hardware, Grover mini-tuners and satin cherry finish complete the package. This guitar has a Mahogany Body , Rosewood Fretboard, and utilises Firebird Mini Humbuckers with Grover Mini Rotomatics.